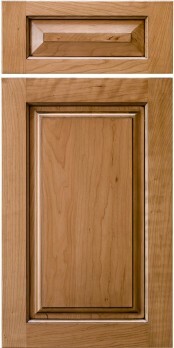 This version of Conestoga’s famous CRP-10 door is our most traditional square raised panel door, only in 1″ thickness. This door is available with an assortment of edge profiles, framing beads, and panel raises. Virtually any option is available on this design, which allows you tremendous flexibility in your design.